Interested in learning to play the piano? Level four arrangements are geared for third and four year students. 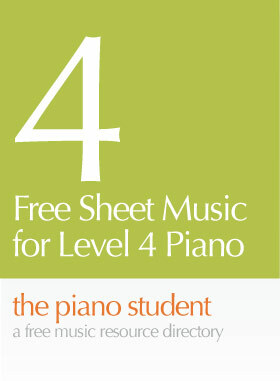 If you’re just beginning Free Beginner Piano Sheet Music/Level 1 is perfect for you.